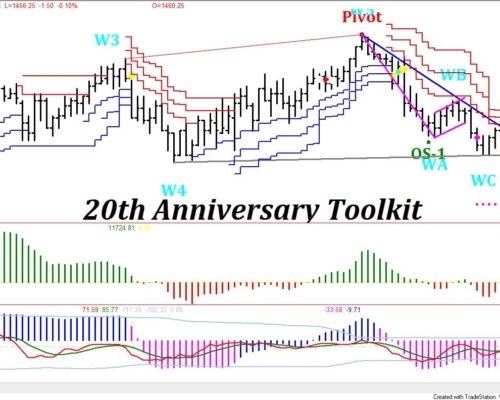 TRADERS WORLD EXPO 12 SPECIAL- For attendees of TW Expo 12 and our online friends, the 20th Anniversary tool kit is on special for $899 through November 26th! To celebrate our 20th Anniversary, we have put together this tool kit with 13 of our best proprietary tools for only $1195! These tools individually have a combined retail value of over $4,000! 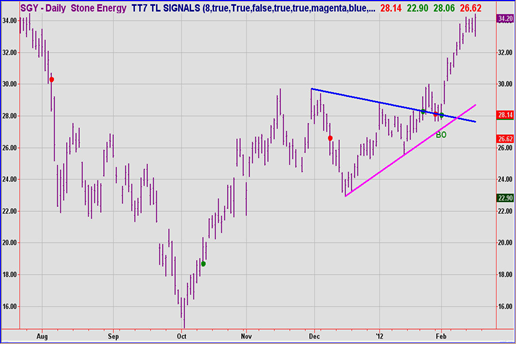 The Arps Automatic Trendline Signals tool automatically identifies and draws a down-trendline from the most recent peak to the next highest peak and projects it to the current bar; and it does the same for up-trendlines as well. 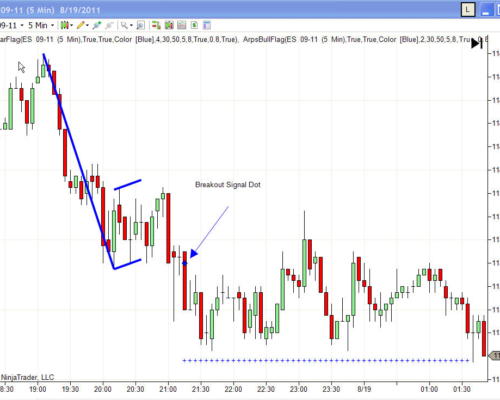 It uses the highs and lows to identify the peaks and troughs which define these trendlines. If the price crosses below the up-trendline or above the down-trendline then a break-out dot is plotted at the trendline value of that bar marked by a “BO”. Please click here for pdf documentation about this tool. For owners of the Pullback 23 charting tool, the Pullback 23 scanning tool is offered here on a standalone basis. 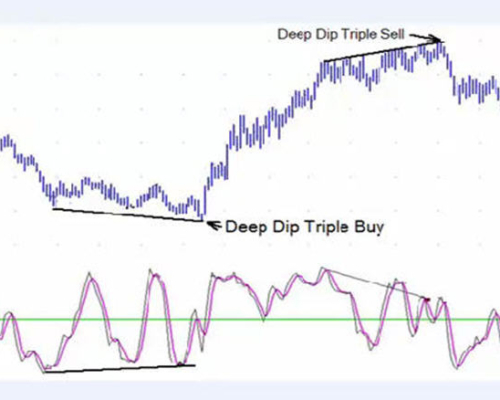 The scanning tool allows you to scan any large symbol list of your choice for recent Pullback23 signals and then go directly to the chart to view the signal with the charting indicator. 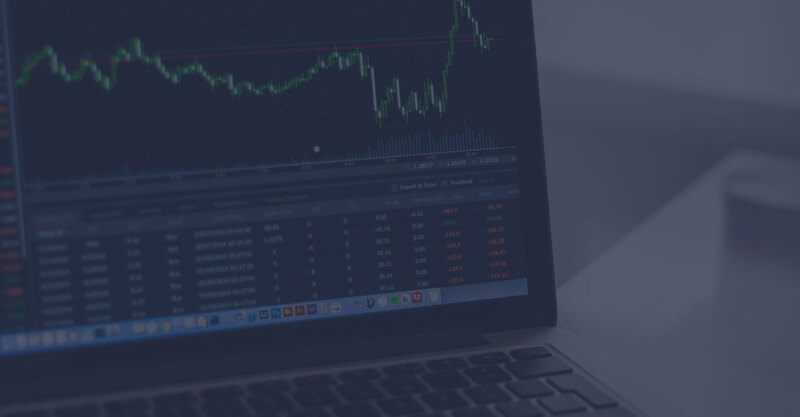 Our proprietary Arps Flag Scanning indicator will efficiently scan for Bull/Bear Flag Patterns and Flag Breakouts on any large symbol list of stocks, futures, and tradable instruments. To accommodate our clients that change charting platforms after purchasing Arps tools, we offer platform transfer services between our supported platforms. 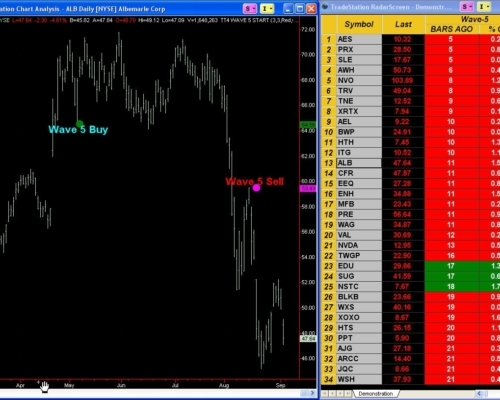 Utilizing the powerful scanning capabilities of TradeStation’s RadarScreen TM platform, this tools enables you to efficiently scan your favorite list of stock and futures symbols for an important trading setup: the start of the Elliott 5th Wave. 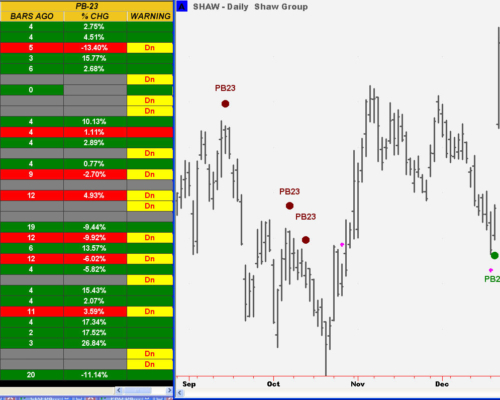 In the RadarScreen scanning version, color-coded cells display the number of bars since the last Wave 5 signal, along with the direction of the established trend. 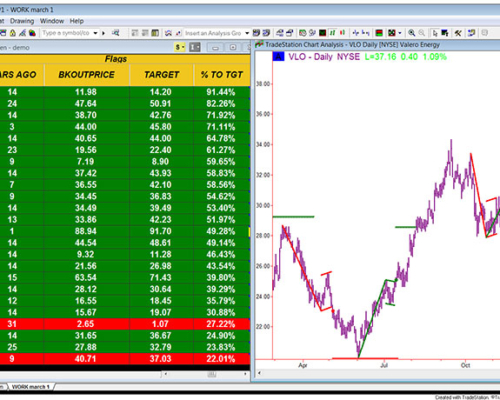 A second column tracks the percent change up or down since the Wave 5 signal. 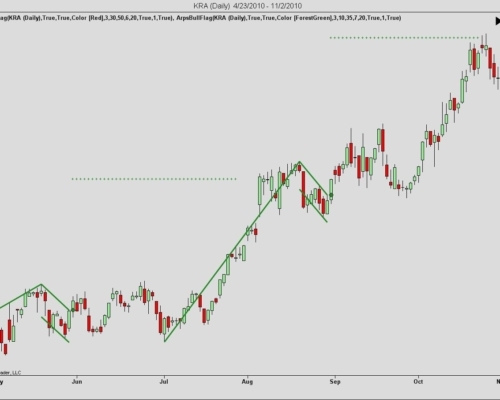 For example in the product image, the symbol ALB that displays in the linked chart window had a Bearish Wave 5 Alert signal identified 11 bars ago and is down 1.53% since the start of the Elliott 5th Wave. Linked windows allow you to click on the RadarScreen symbol for any Wave 5 signal and view the chart for further analysis. This tool is also available for the MultiCharts Scanner. 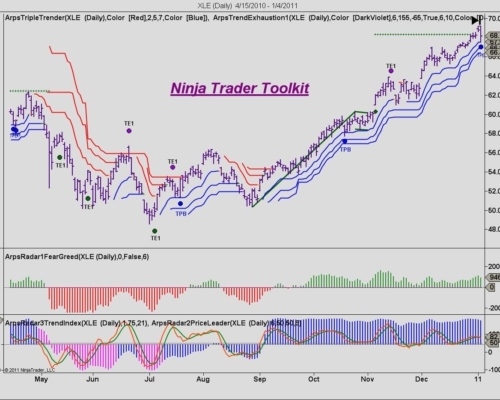 Utilizing the powerful scanning capabilities of TradeStation’s RadarScreen TM platform, this set of tools enables you to efficiently scan your favorite list of stock and futures symbols for an important trading setup: the start of the Elliott 5th Wave.